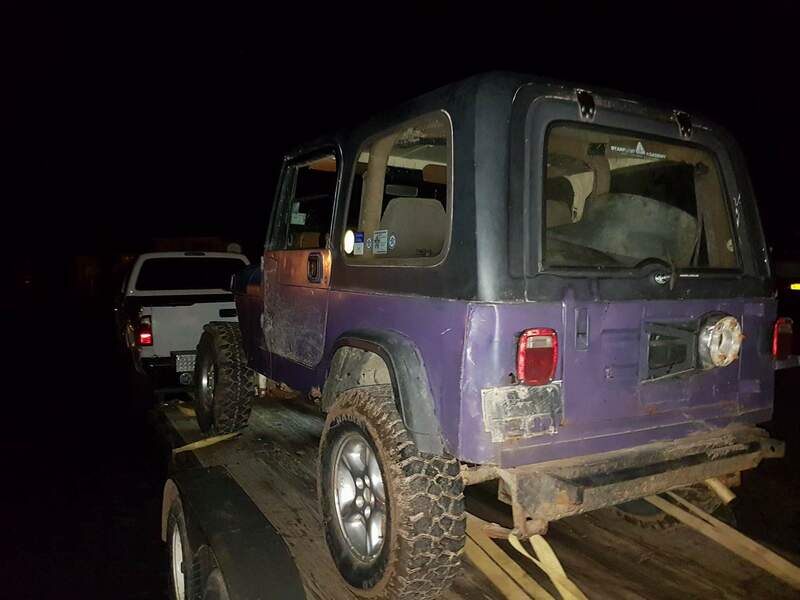 As some of you know by now, I bought a 95 yj wrangler not long ago, for 700$. 2.5 5 speed np231 t case, 4.88 gears with spartan lockers front and rear. 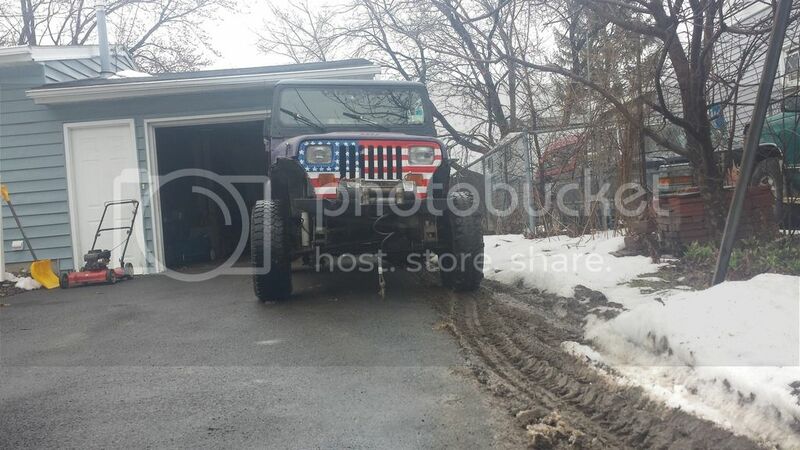 Has around 6.5" of lift or so. Heavy duty steering, aftermarket diff covers, nice custom bumpers front and rear with recovery points, badlands 12000 pound winch. CJ hard top, full doors. NNeeded a lil love when I got it. 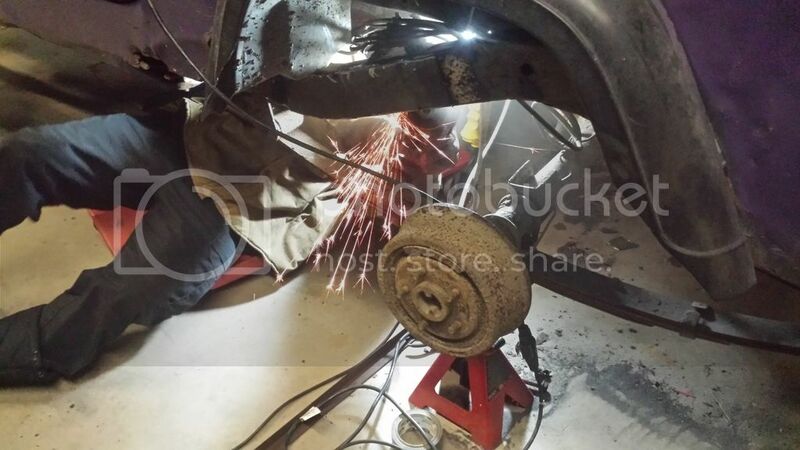 First course of action, the pinion bearing blew apart and the front end had to get rebuilt. Sent it over to Matt (thank you so much for your help) and he's currently working on getting that all together for me. Secondly, the fan clutch froze up and destroyed the water pump. Luckily he already put a brand new pump on before I bought it, so all I needed to do was put on a new fan clutch and it was all set there. 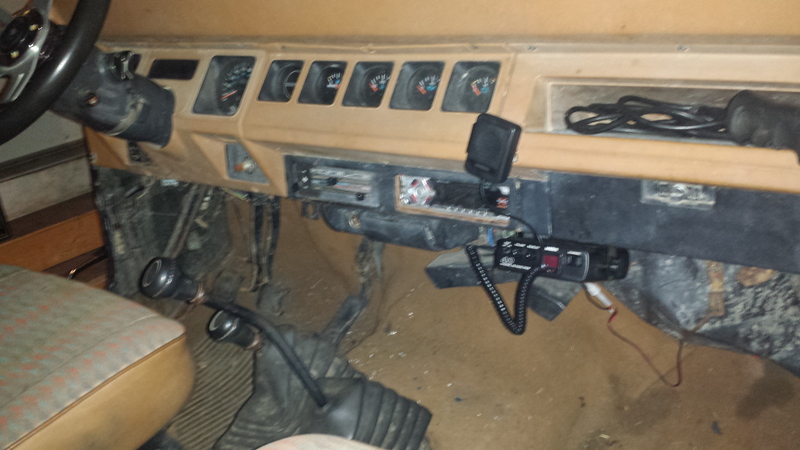 Changed the oil, hooked up a spare cb radio I had around the garage, and I will probably change the transmission oil as it gave me a lil trouble going into first gear pulling into my garage. Other than the aforementioned frame repair it needs, it should be all set to go!!!!! Plan is just a cheap and fun low buck wheeler I can beat up. I might put it on the road to drive short distances and possibly drive to close wheeling locations. Axle out by myself in a couple hours. 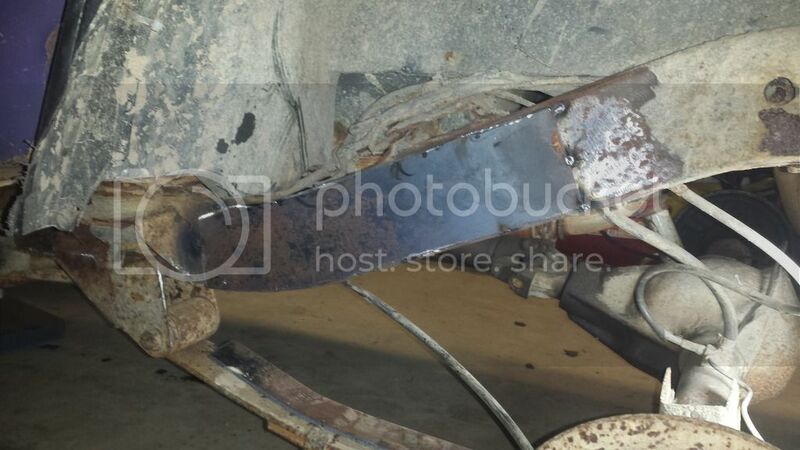 Gotta love leaf springs! I'm really excited, this is gonna be a fun rig and a fun build. Thank you Pat for all the yj parts you gave me!!!! I have a set of sliders I am going to try to clean up and mount, a set of tube fenders that need finishing and would look sweet, and I still need to figure out my tire situation. RRight now it is on good 32s on 16s. But I think they are too small. Only minor damage in the D30, it will buff out. Read the post at work but couldn't see the pictures till now. 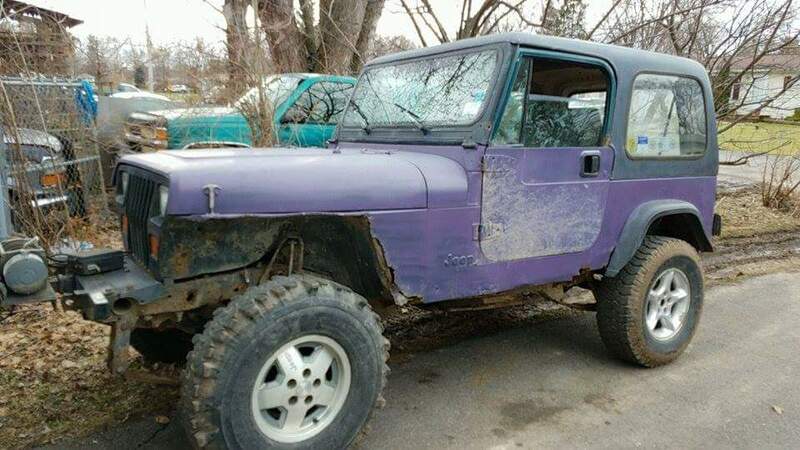 I agree with having a beater for the trails and I think this is the perfect vehicle for it, plus you can have the top off! With the lockers and some 33s, you will be easily holding your own out on the trail with $40k wranglers! 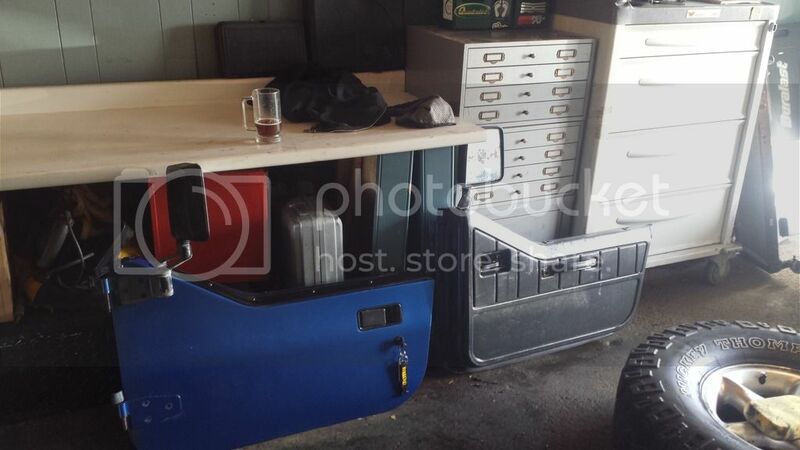 Don't know how much is really worth saving on the vehicle, I think maintaining the mechanical aspect of it and fixing the little issues here and there is perfect idea. Good luck with the toy! (03-15-2017 07:38 PM)Dmiller Wrote: Read the post at work but couldn't see the pictures till now. I agree with having a beater for the trails and I think this is the perfect vehicle for it, plus you can have the top off! With the lockers and some 33s, you will be easily holding your own out on the trail with $40k wranglers! Yes that's my plan, just keep it going mechanically and get the most fun for my buck out of her. I will definitely get the spot in the frame patched but other than that, probably won't touch much on the body. MY thought process is, I have been planning on moving south to North Carolina around September. I want to keep my ZJ nice as that's what I'm driving down and keeping, probably towing my cherokamper with everything I own. 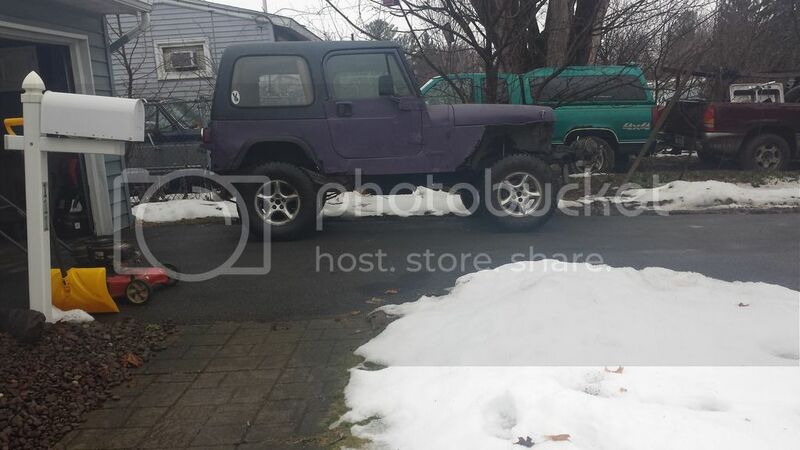 This is will satisfy my wheeling itch (otherwise I know myself too well and end up taking the zj all the time) and when it comes time to move I should easily get what I spent on it back by selling it, or the parts by themselves are worth it. What's the ETA on front axle? Nice buy! Should be a lot of fun. (03-26-2017 06:50 AM)BlueCrawler Wrote: Nice buy! Should be a lot of fun. I can't wait to take it up to your place! 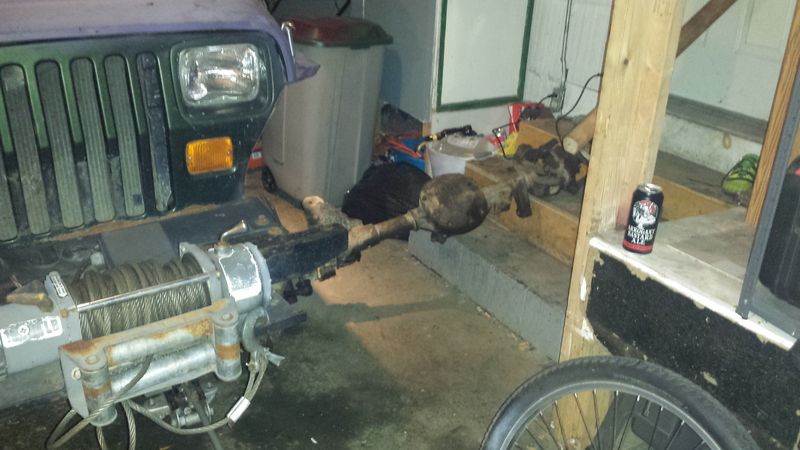 Front axle is all in and it moves under its own power! 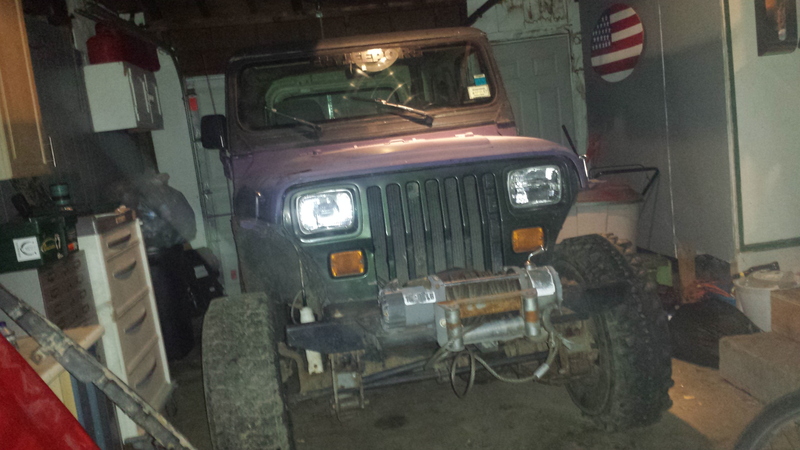 Drove it around the block for a bit, runs and shifts good, and rides like a rickety old Jeep haha. 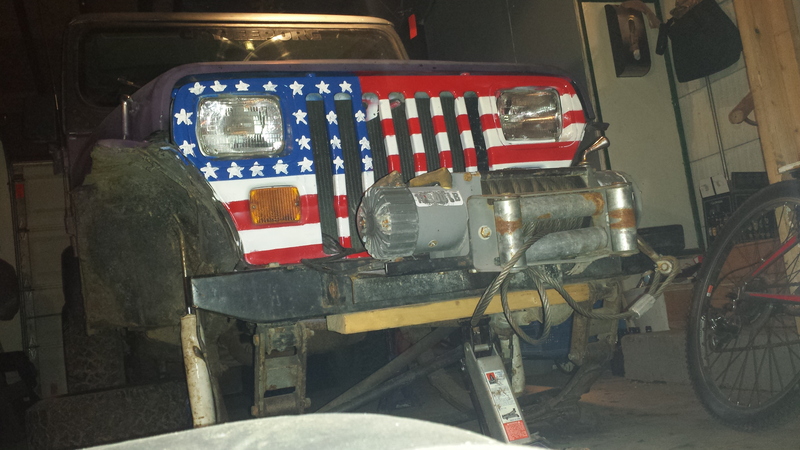 Just need to get a spot on the frame patched, and get some bigger tires on it 33s, or, 35s, and it will be all ready. Made my way over to the junkyard and scored big time. Got a set of sweet yj half doors for about 30$ apiece, one is amazing shape and the other needs minor Rust repair that I already started on. Also got a Glove box lid that will close, a new oil pressure switch and pigtail that will hopefully work and not leak like the one on it now, and a bunch of other goodies. Also, as you can barely see in the corner of that picture, I got a set of 35s mounted up and ready to put on the Jeep as well.